On the Xojo forum a user asked if there was a way to execute a formula in Xojo. 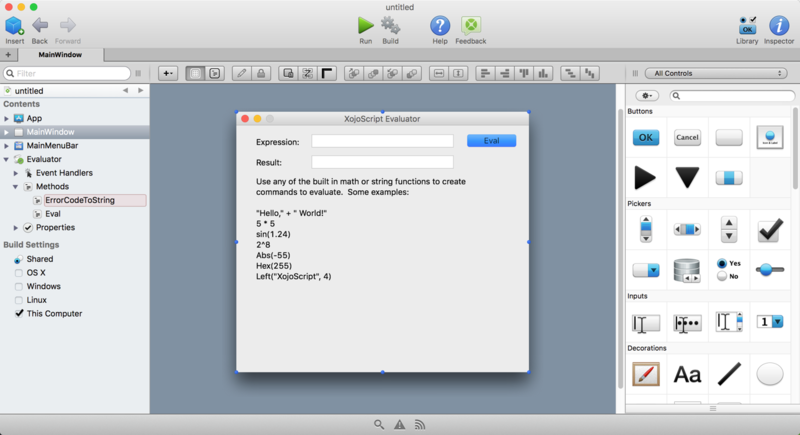 As pointed out in the conversation, Xojo includes an Evaluator example that does exactly that. It uses XojoScript and I thought it might be interesting to show how it works. Did you know that you can create scripts to control the Xojo IDE? And many of these scripts could be real time savers.